Earn $2.65 in VIP credit (265 points)What's This? 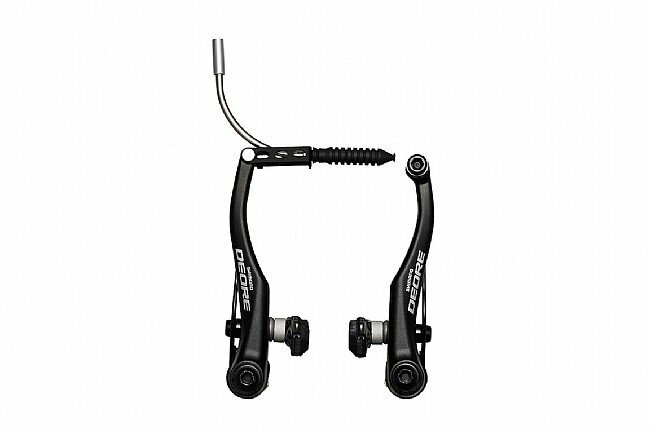 Shimano’s Deore T610 V-brake promotes responsive and powerful braking thanks to the leverage ratio of the vertical 107mm cantilever arms with direct cable action. Great product ... for what they are! If you are using V brakes today you are either servicing an older bike or a very inexpensive bike-disc brakes are clearly the standard and for good reason. I put these brakes on my 2006 Specialized TriCross commuter replacing the original cantilevers that just weren't stopping me like I wanted. In short these brakes work great, almost as good as discs...not quite but still very good stopping power at a fraction of the cost of my alternatives. I wanted to upgrade an old set of brakes and these are magnificent! !